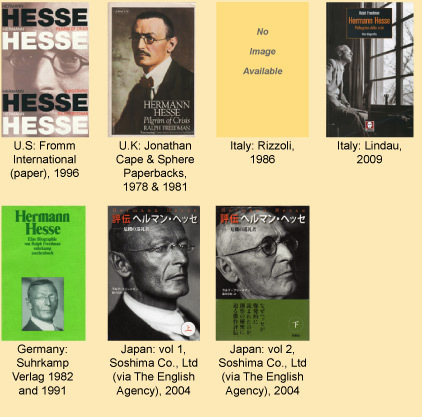 This biography is the story of the Nobel Prize-winning novelist/poet Hermann Hesse who became the guide of many readers. As the historian George Mosse put it in 1978: “Hesse’s life was exemplary for those intellectuals who stood in the cross-fire of all parties, eternal exiles who yet longed for a home.” Hesse captured especially the imagination of young readers first in Germany through both World Wars as a poet of nature, then, during the 1960s and 1970s, the years of the counter-culture, in the United States by his choice of Eastern mysticism in Siddhartha and a heightened sensibility stirred by the drug-related visions in works like Der Steppenwolf. Ralph Freedman sought to develop the exciting discovery and rediscovery of a writer who was a spokesman for several generations in several places of the world, despite his origin in the late 19th century in Germany and Switzerland. Read full reviews on Amazon.com. “Klingsors letzter Sommer” and the Transformation of Crisis,” pp. 139-148, in A Companion to the Works of Hermann Hesse, ed. Ingo Cornils. Camden House, 2009. “Introduction and Bibliography,” pp. vii-xxxv, to Siddhartha, tr. Joachim Neugroschel. Penguin Books, 1999. “Person and Persona: The Magic Mirrors of Steppenwolf,” Hesse: Twentieth Century Views, ed. Theodore Ziolkowski. New York: Prentice Hall, 1972), 153-179. Hermann Hesse Jahrbuch #1 (2004), pp. 133-46.Tübingen: Max Niemeyer Verlag, 2004. “Hermann Hesse und Rainer Maria Rilke: vereinbar oder nicht vereinbar?” (Hermann Hesse and Rainer Maria Rilke: Reconcilable or Irreconcilable?) in Krisen als Wege zur Einheit, ed. Uli Rothfuss. Special edition in celebration of the Award of the Hermann Hesse Medal to Ralph Freedman on August 9, 2002. 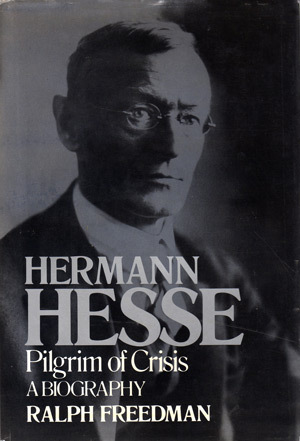 “Hermann Hesse im Wandel der Krisen” (Hermann Hesse and the Ebb and Flow of Crises), Hermann Hesse Heute, ed. Adrian Hsia. Bonn: Bouvier Verlag, 1980. “Hesse-Welle und akademische Skepsis in den USA, 1960-1980. Ein Stück Rezeptionsgeschichte” (Hesse-Wave and academic skepticism in the United States, 1960-1980. A chapter of the history of reader reception), 133-145, in Hermann-Hesse-Jahrbuch, Bd. I. Tübingen: Max Niemeyer Verlag, 2004. This portrait of Rainer Maria Rilke draws him from his beginnings as a dedicated young poet to one of the greatest poetic visionaries of the last or any century. 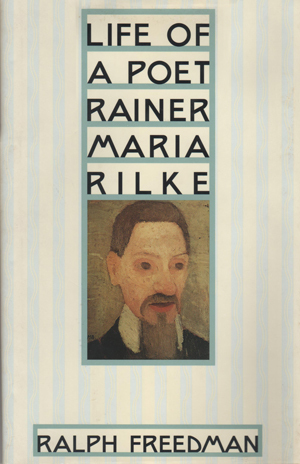 This biography traces Rilke’s extraordinary career by combining detailed accounts of salient episodes from the poet’s restless life with an intimate reading of the verse (translated from the original by Helen Sword), including “The Book of Hours” and “The Duino Elegies” as well as famous prose essays like “Letters to a Young Poet” that refract them. Moreover, if he had not died at the young age of 50 he might have even become also an important poet in French. These many-sided impulses left their mark on Rilke’s verse in any language and lent it a unique resonance, which “Life of a Poet” conveys as biography and as a work of criticism. Read the review of Life of a Poet: Rainer Maria Rilke in The Nation. The sublime poet’s selfish character, impulsive amours, and artistic development recounted in illuminating detail. “Rilke was a jerk,” wrote poet John Berryman in his Dream Songs. Freedman’s fine-grained new biography of the great German poet bears out Berryman’s uncharitable judgment, albeit with considerably more decorum and nuance. Freedman, a retired professor of comparative literature (Princeton Univ. ; Hermann Hesse, 1979) explores the poet’s life and art in rich detail. Born in Prague in 1875, Rilke soon left the Austro-Hungarian provinces behind him in his steady rise to the uppermost echelons of the European art world. Freedman paints a picture of the artist as ruthless young aesthete: the heartless self-absorption in constructing his poetic persona, the fawning over aristocrats–especially potential benefactresses–and the near-indifference to the wife and daughter he abandoned in order to better follow his calling. There is ample opportunity for moralizing here. Happily, Freedman does not fall into the trap, giving the full measure of Rilke’s personal shortcomings without needless clucking. Instead, he soberly pursues his larger aim, which is to illuminate Rilke’s “long struggle for the style that would ultimately define him.” Freedman quotes generously (though exclusively in translation) from Rilke’s poetry to reveal not only its relationship to the poet’s personal experience but also, more importantly, to follow the development of his craft from its origins in the purple kitsch of his youth to the powerful and unique lyric idiom of his maturity. 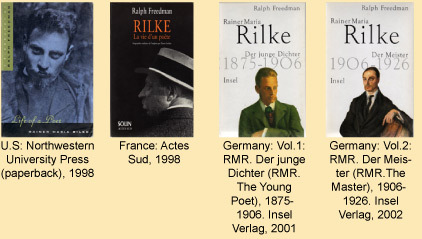 Freedman is particularly good on Rilke’s relationship to Rodin and to the visual arts in general, which helped to shape the poet’s sense of a new direction in poetry. A fine study that is scholarly yet readable and admirably brings the poet’s feckless life into balance with his artistic achievement. (photos, not seen) –Copyright © 2011 Kirkus Reviews, used with permission. “Wallace Stevens and Rainer Maria Rilke: Two Versions of a Poetic,” in The Poet as Critic, ed.Frederick P.W.McDowell. Evanston, Ill., Northwestern University Press, 1967. “Rainer Maria Rilke and the ‘Sister Arts’,” in Literary Theory and Criticism, Festschrift in Honor of the 80th Birthday of Rene Wellek; Bern: Peter Lang, 1984, pp. 821-47. “Das Stundenbuch and Das Buch der Bilder: Harbingers of Rilke’s Maturity.” A Companion to the Works of Rainer Maria Rilke, ed. Erika and Michael Metzger. Camden House, 2001; 2004, pp.90-127. “Two Strings-One Voice. Rainer Maria Rilke and his first great Love,” in Estudios literarios en honor al profesor Federico Bermúdez-Cañete, 2008, pp. 145-158. “Dichtung und Bildende Kunst in den Neuen Gedichten—Rilke, Rodin, Baudelaire”, Rilkes Paris & Neue Gedichte, Blätter der Rilke Gesellschaft vol.30 (2010) Wallstein Verlag, 2010, pp. 185-195. (Poetry and Pictorial Art in New Poems—Rilke, Rodin, Baudelaire). “Gleichzeitig da und doch nicht da zu sein”—Rainer Maria Rilke und Loulou Albert-Lazard. Marburger Forum, 2005. (To Be at Once There and Not There).